White diamond rings are exceedingly popular in the new millennium. 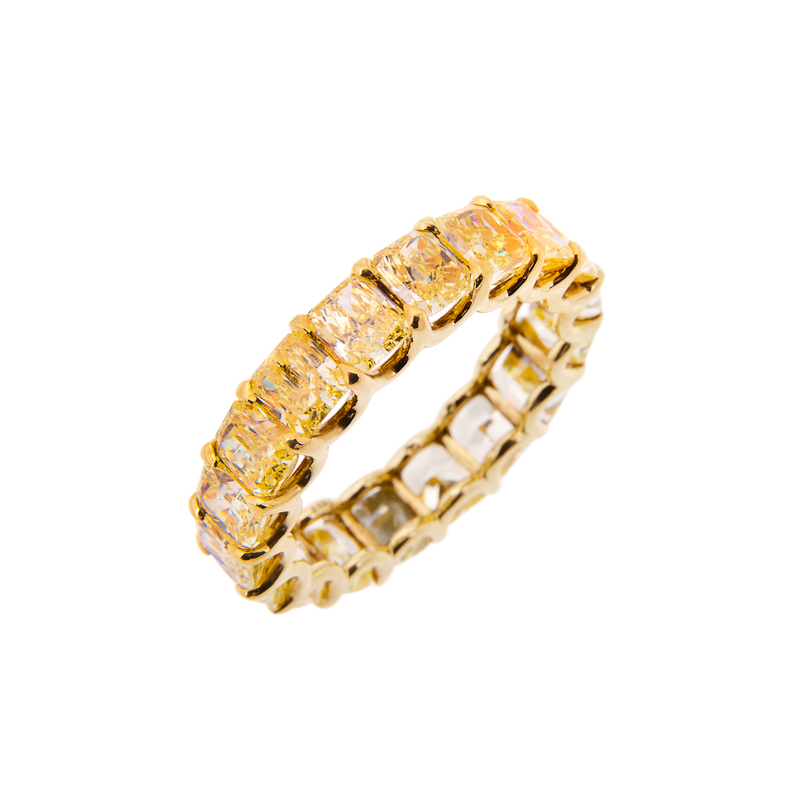 Many women are moving away from the traditional yellow gold band, for something that is distinctive. Hancocks Jewellers recognises the need for non traditional jewellery, and therefore supplies a number of rings with multicoloured gemstones. 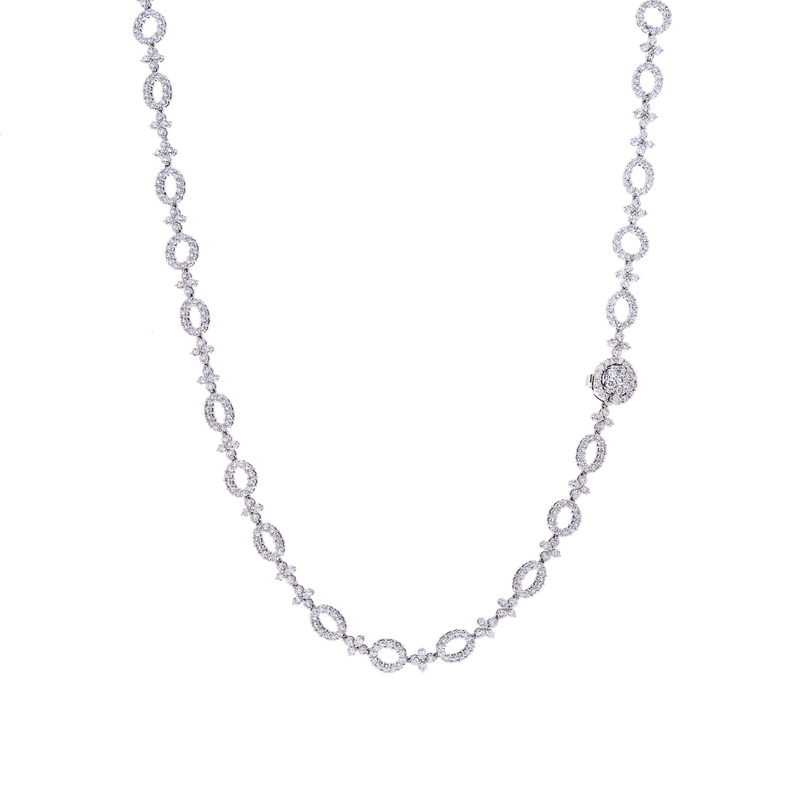 The white diamond jewellery offered at Hancocks will be high quality fine jewellery. Diamond jewellery, especially in rings will have several different cuts as well as designs. The jewellery designers at Hancocks tries to be traditional as well as more creative in their creations. One interesting designer jewellery piece is the platinum single stone ring set. It has one emerald cut diamond and a shoulder set with baguette cut diamonds. Another piece you might find at Hancocks Jewellers is the 18 carat gold 3 stone diamond ring. It has a princess cut diamond; brilliant cut diamond, and a stone diamond. While this is not a coloured gemstone ring it does offer a brilliant piece in a four claw setting. 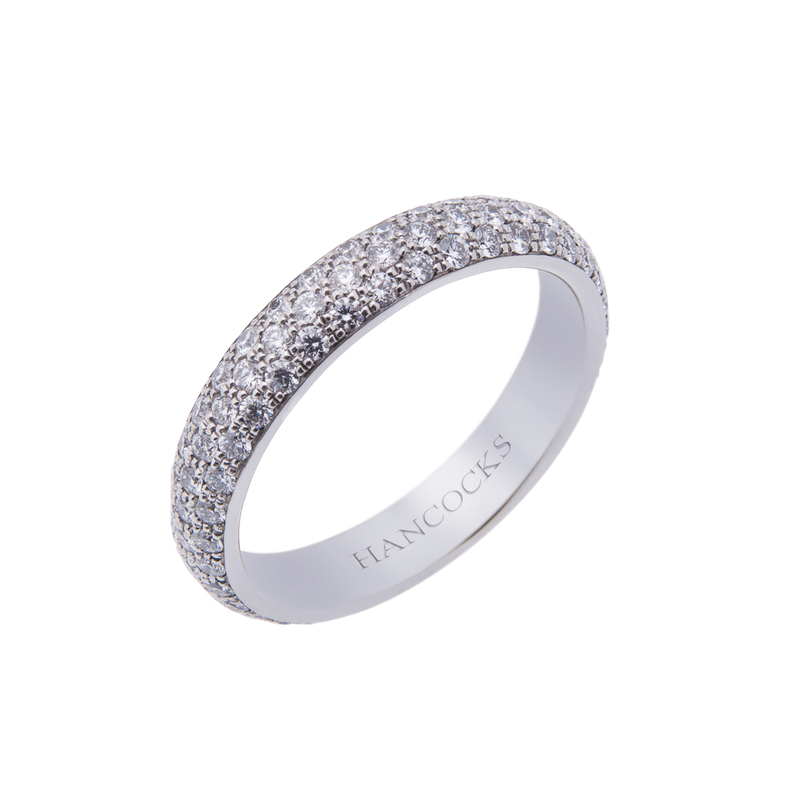 Many of the eternity rings offered by Hancocks Jewellers will be coloured gemstones typically with an emerald cut diamond. Other creations are a platinum pear shape sapphire ring, with a brilliant cut diamond on either side. 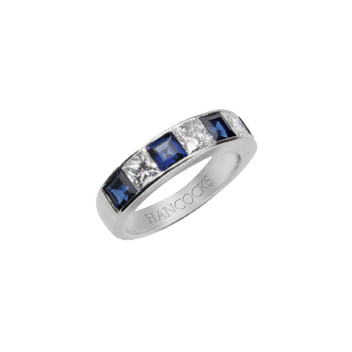 There is also an 18 carat yellow and white gold 5 stone sapphire eternity ring. It has 3 round facetted sapphires, with 2 brilliant cut diamonds in a strap setting. From our descriptions you can glimpse just a little of what Hancocks Jewellers aim to bestow upon their consumers. Though the fine jewellery Manchester store does have competition in David Morris and Boodles, Hancocks Jewellers presents some of the higher quality bespoke designs. Their reputation as a fine jewellery provider, with excellent customer service is the very foundation that Hancocks lives by. If you are looking as a novice or master Hancocks will certainly be able to serve you.